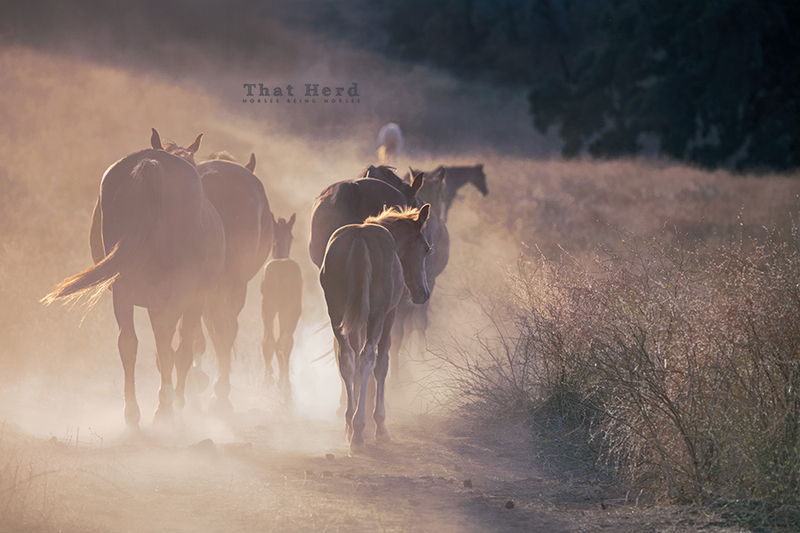 Part of the daily routine for That Herd mares and foals includes the march to water down a dusty path. Also, a late foal is dwarfed by an older sibling in the queue. The afternoon march to water.